Pemmican vs. Spam. Which is the best food for survival? Meat – rich in protein, fats, iron, energy and other essential nutrients – is a useful and tasty addition to your survival food reserves. The problem is it’s also highly perishable. Without refrigeration, fresh meat will stay safe to eat for a matter of days at most. If you freeze it you can store it for up to a couple of years, but are you going to be able to keep things frozen after the SHTF? That’s not something I personally would want to rely on. What’s needed is some kind of meat that can be stored for months or years without refrigeration. People have been figuring out ways to store meat for centuries, and there are a lot of different solutions out there. Sailing ships carried barrels of salt beef and pork; some of the earliest canned goods were whole roast chickens. Many forms of storable meat have been developed, although some of them haven’t been much fun to eat (sailors used to carve small ornaments from especially hard chunks of salt beef). Preppers have an obvious interest in meat that can be stored, and there are a few items that tend to be popular. Some are commercial products; others are home made. Both have plenty of fans among preppers, and there are two that really stand out – Spam and pemmican. You’ll find plenty of opinions on prepper sites, with dedicated fans of both, but which is really better as a survival food? First let’s look at their history and what they actually are. 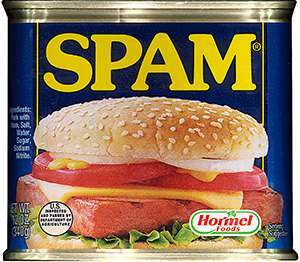 Spam was introduced by the Hormel Foods Corporation in 1937, and people are still arguing about what the name means. Spiced ham? Spare meat? Specially processed American meat? In any case the aim was to boost sales of pork shoulder, which wasn’t a popular cut. Hormel hoped they could create a tastier, more versatile product that would let them sell something people weren’t buying otherwise. What they actually came up with was a meat product that could be prepared in many ways, eaten cold if necessary, and stored for years without refrigeration. In fact when it first went on sale it was the only canned meat product that didn’t need to be refrigerated. The recipe was simple enough, though. Chopped pork shoulder was mixed with chopped ham, salt, sugar and potato starch, along with some sodium nitrite as a preservative and to keep the meat pink. The mixture was canned and sealed, then cooked in the cans to produce a block of long-lasting meat. Spam’s long shelf life made it invaluable when World War II broke out. Thousands of tons of Spam were shipped across the Atlantic to Britain; from there, much of it went on the dreaded Arctic convoys to Murmansk. Nikita Kruschchev, a Soviet Army officer who fought at Stalingrad, once said “ Without Spam we wouldn’t have been able to feed our army,” while Margaret Thatcher paid tribute to its part in the wartime British diet. Hormel have now been making Spam for more than 80 years; the eight billionth can was sold in 2012. Pemmican, on the other hand, has a much longer history. Native Americans were making it for centuries – nobody’s really sure how long – before Europeans discovered North America, and it wasn’t just a traditional part of their diet; for many tribes, it was vital if they were going to survive the winter. Native American hunters were experts at killing bison, deer and other large animals, so as long as game was available they weren’t short of meat. What they did lack was the technology to preserve it, so they came up with a low-tech but ingenious way of making it last. The meat was dried over a fire or in the sun, then pounded into a powder and mixed with rendered fat; sometimes dried, crushed berries were added to the mix. The result was a compact but nutritious food that, packed into rawhide bags, could stay edible as long as ten years. Large sacks of pemmican would keep a tribe fed through the winter; smaller balls of it made easily portable, nutritious food for hunters and warriors. When European hunters, trappers and explorers discovered pemmican they immediately borrowed the idea, and either traded it from the Indians or made it themselves. Pemmican went on to be taken on polar expeditions, used as a survival food by legendary tracker Frederick Burnham’s scouts in South Africa, and even used as the main component of British Army emergency rations in the Boer War. Today, many preppers make their own pemmican and swear by it as the ultimate long-life food. But is it really better than spam? Time to compare them. If you plan to store something for emergencies you need to know that it’s going to be edible when you need it. We all worry about getting food poisoning from something that’s picked up a crop of bacteria along the way, but food can also lose a lot of its nutritional value when it deteriorates. It often loses texture and flavor, too. How well do Spam and pemmican survive in your stockpile? Hormel say that Spam has an indefinite storage life, but every can comes with a best before date printed on the end. Unless the can is punctured or swollen it should still be safe to eat after this date, but it might not taste as good. If you store it in a cool dry place it should be good for at least ten years, though – and maybe a lot longer. Pemmican doesn’t have any artificial preservatives, but the drying process gets rid of the moisture that bacteria need to grow, and rendering the fat helps stop it going rancid. Most modern pemmican recipes say it will last for a few months in the freezer, but the truth is it will stay good for years. Vacuum-pack it in mylar bags and it can survive ten years or more. So, on shelf life, it’s pretty much a draw. Avoiding monotony matters with survival food. If you’re going to be living off your cache for weeks or months, you don’t want to face every meal with a groan of “Not pemmican and rice again!” Food that can be cooked in a variety of ways is always good. Pemmican is pretty versatile. It can be eaten with no preparation, although it’s pretty fatty and bland. Even the old trappers and hunters avoided eating it that way unless they were on the move. Instead they fried it in a pan (it provides its own fat), with potatoes and onions if they were available. Other times they made a stew of pemmican and any vegetables they could get their hands on. If it’s versatility you want, though, Spam is hard to beat. You can do just about anything with Spam. It can be eaten straight out the tin in an emergency, or sliced and put in a sandwich. Diced, it works well in stews and stir fries. Slice it thin and fry it in its own fat as a pretty good bacon substitute, or serve thicker fried slices as part of a main meal. In Hawaii they even serve Spam musubi, giant sushi with a slice of fried – you guessed it – Spam on top. So for the sheer variety of meals you can cook with it, Spam’s the winner here. Stockpiling food is easy now, with the stores full of it. What about later, though? If the crisis lasts more than one winter you’re going to need to have your stocks rebuilt by the next fall, or you’ll be in trouble pretty quickly. Can you restock your preserved meat? With Spam the answer is probably going to be no. Yes, there are millions of cans of it sitting around in grocery stores and warehouses, but they won’t sit there long when the SHTF. A lot of hungry people are going to be looking for food, and they’ll make short work of the nation’s Spam reserves. What’s on your shelf is all you get. Pemmican is a different story. Need more pemmican? Get your rifle out, shoot some deer and make more pemmican. Drying the meat takes some time, but if you know how to make it you can preserve all the meat you can get your hands on. 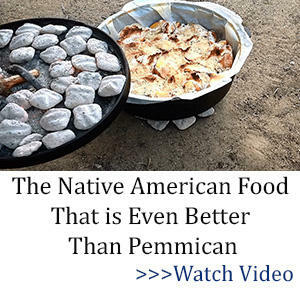 Even if it’s Spam that gets you through your first post-civilization winter, you’ll be eating pemmican when the second one hits. So for availability, I’ll take pemmican every time. The ultimate survival food isn’t a lot of use if you can only afford enough to last a week. How do long-life meats stack up on price? Spam often gets sneered at as a cheap meat option. In fact two 12oz cans of it will set you back $5.28 in Walmart. That’s pretty cheap compared to premium steak, but start putting up enough to last you for three months and it’s going to get expensive in a hurry. If you’re buying that premium steak to make pemmican it won’t be cheap either – especially as it takes five pounds of fresh meat to make one pound that’s dry enough to be used. Then again, why use premium steak? You can use the cheapest cuts you can find. But where pemmican really comes into its own is that you can make it from meat you’ve hunted or raised yourself. So overall, pemmican wins on cost. The whole point of food is to keep you alive. If it isn’t nutritious, it probably shouldn’t be in your stockpile. Spam is a dietician’s worst nightmare. A hunk of meat, covered in fat and liberally laced with sugar and salt? How nutritious can that be? Well, you might be surprised. Spam is 33% protein, and packed with energy. It’s a good source of fat, which is vital in a survival situation. The sodium content isn’t a bad thing either, because if you’re working hard you’ll be sweating out a lot of essential salts. On the other hand pemmican, especially if it’s made the traditional way with dried berries mixed in, is almost a nutritionally complete food. 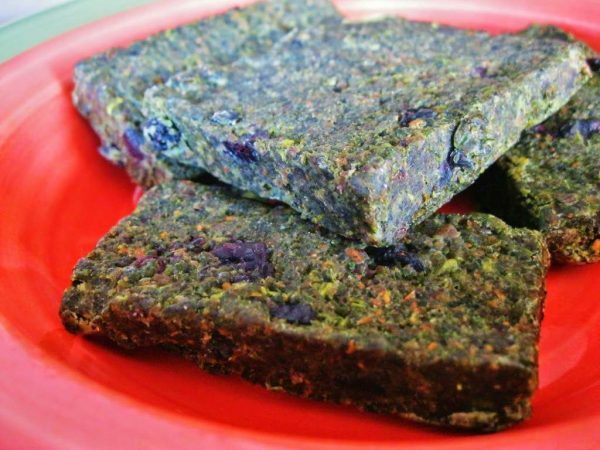 Plain pemmican is short on carbohydrates and Vitamin C, but the berries help with that. You can live on nothing but pemmican for a long time (although you’ll get pretty sick of it). Pemmican is the clear winner on nutrition. So overall, Spam and pemmican are both great options for your food stockpile – but if it’s one or the other, pemmican is better. It lasts as long, it’s more nutritious, you can replenish your stores from meat you harvest yourself, and it’s a better source of nutrients. I certainly have more than a few cans of Spam stashed away, but the core of my meat supply is the old Plains Indians survival food. No doubt both are great for survival. Just can’t get passed how salty spam is. But if I’m hungry enough I assure you I will eat it. Have never tried pemmican . Seems like a long kind of expensive process for a small yield. Yet, if you can’t go to store and have pemmican stored up then you can go to THAT store. I have 8 year old pemmican. Took down to my friends and we tried. Was just fine. It’s not hard to make. Try making spam and tell me how hard that is. Especially after making the can to put it in. Grid down. I agree hoopla, but with spam you just buy it and store it. With pemmican you purchase the meat and whatever ingredients you need and cook it and wait until the morning and finish the process. At least I think that is how it is done. Correct me if I’m wrong just going off memory from watching videos. I always try to factor in the longevity of process as well as electricity and water used when preparing food for long term storage. I have a very busy life with four kids and all entailed with three teenagers. That’s all. I do want to try to make it one day, just need to block out time to do it. Spam comes in a lower salt variety. Something else that helps a little is to rinse the chunk of meat before cutting it up. When using in casseroles, reduce or omit the amount of salt the recipe calls for. Just found your website..it looks very Interesting and informative. So far, the SPAM I have stored for 8 years is okay when I open a can. Not all cans have a best by date. I think you should have an article on Biltong. Quite simple to make and a good way to prepare meat during a SHTF situation. It’s another product a person should be familiar before you need it so you know how to make it when/if the time arises. I personally didn’t like the “raw” texture of the Biltong meat after it was dried but necessity will quickly change that. I have tried making biltong. I found it too salty to eat by itself, although if I cook it with other things, it adds a lot of flavor. I didn’t have enough coriander on hand, so used black pepper and garlic instead as well as the requisite salt. I ended up putting it in the freezer after I made it, and a South African told me if I’m going to store it that way, I don’t have to use so much salt. I want to try my hand at making these things now, where if I don’t get it quite right, I can tweak and learn before it’s an emergency sink-or-swim situation. I’ve never tried biltong – although I do make my own jerky – but from all I’ve heard it would make an excellent survival food. The drying process makes it even safer than jerky, and the salt content is less of an issue in a crisis than in everyday life – I think we’ll all be sweating enough that we’ll be grateful for the extra salt. When the cans of Spam run out and there aren’t any Animals to make Pemmican out of. We will only be left with People. Give us all a Blog about the best way to cook and preserve them. Hurry up though, we are running out of time. It will be hard to tell when you’re gutting them, but since they are not all vegan, it could be dangerous. Especially the DemocRATS, they probably taste like s__t and spoil fast. Had to laugh and thanks for that wise comment. I am sure you are right. Lol…yes Marcia, I do remember Soylent Green. Charlton Heston was the protagonist and finally discovered that the Soylent Green food source was processed people! Interesting movie. People will have to be processed like pork. It’s a sweet meat. Tastes s lot like pork. Buy fat. Cut into cubes. Put in pot. Put inch of water in pot to keep fat from burning before it starts melting. That last step is very important. Don’t cook very hot. All that fat will start turning into oil. Water will evaporate. Then there will be cracklins floating in the oil. Get those out with a slotted or screen spoon. You can eat the cracklins, put them in biscuits or corn bread, or by themselves. Strain your new grease. You can use a collander with a paper towel in it. I have a fine screen I use. If your grease is gold means grass fed. Clear means grain fed. It all sets up white. Will be almost hard as candle wax at room temp. Try to cook low and slow. A good simmer but not a rolling boil. Stir. No smoke. You get one rendering done you will have it mastered. Basic meat and grease will last the longest. Pour in a jar but let it cool some first. So it won’t bust a jar. So how do dried beans stack up against these 2 meats? Beans are nice to have but beans are a side. Meat is a main course. You should focus on meat and have some beans. Even if you don’t eat meat, most others do, and you can trade it for lots more beans. amino acids. EGGS do, and have everything for human survival except vitamin C. Sweet potatoes have a lot of C and A, and store well in a cool dark place. sprout to restart plants in late spring. Rice consumed at the same time as beans releases the protein contained in the beans. I always wondered why Mexican food always contained rice and beans. I found out a couple of years ago why. The rice is the catalyst to release the locked protein in beans. That’s why peppers should store away rice and beans. Beans aren’t a complete protein – they don’t contain all the amino acids we need – but beans and rice together IS a complete protein; between them they have the full set of acids. Most preppers I know stockpile both rice and beans, and the way to get the most out of that combination is to make recipes that include both. Thank you for the comparison. I’ve always not liked SPAM but hey I’ll eat anything when I’m really hungry, lol. I have eaten SPAM I have stored for a couple of years. It did not make me sick or anything, but did lose much of its taste. Expect it may taste a little “stale”. SPAM is very salty, unless you get the low-sodium version. I did learn one thing today. I did not know that “Spam” was made from pork shoulder. I always believed that a “Spam”, was a small rectangular creature, that, after removal of the legs and tail, fit perfectly in that blue can. These creatures are also known as Lemmings. They are already salted when they dip them out of the ocean just prior to butchering. The low sodium ones hadn’t drowned yet. Too bad there’s not Kosher Spam, or a source of pemmican in cans or bottles to buy. That would require something that doesn’t exist – a kosher pig!! I’ll pass on the kosher Soylent Green, thank you. Not that hungry yet. That is like asking what is a Camaro. An]swer it is a small fast animal that eats Mustangs. Have you tried the turkey Spam? Pork is my absolute last choice. Turkey spam is good. There is also a chicken luncheon loaf canned like spam. I bought twenty five cans for one buck a can. Bargains abound if you look. I also found canned chicken bologna and it’s better than bologna. Basically you need the high fat content. You can use that bit of grease to cook something else. You can also can fat. Render beef fat, it’s the best, and can it. In all the countries I went in the military cooking oils were right there with cigarettes and alcohol on the contraband list. Imagine how much those three will be worth grid down? Think about it. I don’t what Walmart you shopped at, but I bought Spam yesterday for $2.64 per can. Lots of different flavors, and low salt as well. I keep a dozen or so cans on hand and use them. Spam was on sale this weekend at Smart & Final for $2.49 a can, must buy two cans for that price. Well, that’s easy enough. In another column about making lard, rendered beef, sheep and venison fat is called tallow. Rendered pork fat is called lard. Rendered chicken fat is called schmaltz. There is a term for rendered duck fat but I don’t remember what that term is. Tallow was also used to make candles before oil lamps were invented. I image a room light by tallow candles was somewhat smokey and maybe smelled like Joe’s Barbecue. Lard is great for baked good instead of other oils. Many old timers can remember spreading lard on bread in place of butter. And one final note. I cut out a couple of coupons from the coupons that come in the Sunday paper for Spam jerky. Unfortunately, so far I have not found it in the grocery stores I frequent. It is an intriguing item. It seems as if Spam would be too greasy to make jerky, but then pemmican is packed with rendered grease, so perhaps the idea is not too far fetched. I may attempt to make jerky out of the cans I bought on sale this week. If I do, I will post the results on this link, so if you are interested check back in a couple of weeks to see if I have been successful and what Spam jerky tastes like. I certainly won’t have to salt the meat as Hormel has already taken care of that detail. If I understand it right, rendering the fat that’s used in pemmican prevents it from going rancid. Spam contains a lot of fatty meat, though, and it hasn’t been rendered. I think there’s a serious risk that while Spam jerky might taste fine straight out of the dehydrator, it could deteriorate pretty quickly. If you make enough that you can keep some for testing a few weeks down the line, I’d be interested in knowing how that turns out. First run at making Spam jerky. I made a mistake and laid the Spam in a flat pan so the grease didn’t drain off. The dried Spam is still greasy. It has an interesting flavor and is quite mild. My next attempt I am going to soak the Spam in soy sauce first (gotta add some more salt) and dry it on a rack in the oven as I should have done the fist time. Don’t know where my head was at. Will report the results. Maybe two batches, one soaked in soy sauce and one not soaked in anything. To avoid nasties, I am keeping current batch of Spam jerky in the fridge. Perhaps the second batch made on a grid will not go in the fridge.